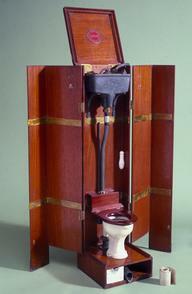 Chamber pots were used in the home or hospitals at a time when most toilets were outside – or non-existent. In the 1700s, chamber pots were often emptied out of windows straight into the street, sometimes with the cry “gardy loo” (from the French gardez l’eau, or “watch for the water”). 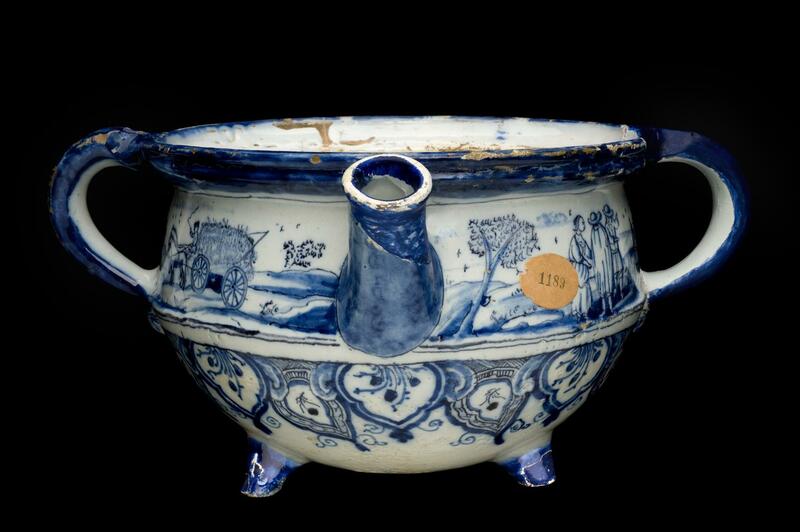 The blue and white design indicates that the chamber pot is probably from the Netherlands. The design shows country scenes, including a maid milking a cow.